Investigating music education for children lead to an outcome that strips sound and music back to its core principles: volume, pitch and timbre. Giving children direct and definable control over these parameters offers them a unique opportunity to form a strong foundation of applied, functional knowledge to then build their formal or informal music training upon. The device when switched on creates a continuous tone which can be modulated with the dial on the left. The dial on the right regulates volume. The tone is created by a piezoelectric speaker in the mouthpiece. The player then uses their mouth to modulate the timbre and overtone qualities of the sound. The result is a unique and free play experience which does not place any emphasis on any notions of correct style or intonation. 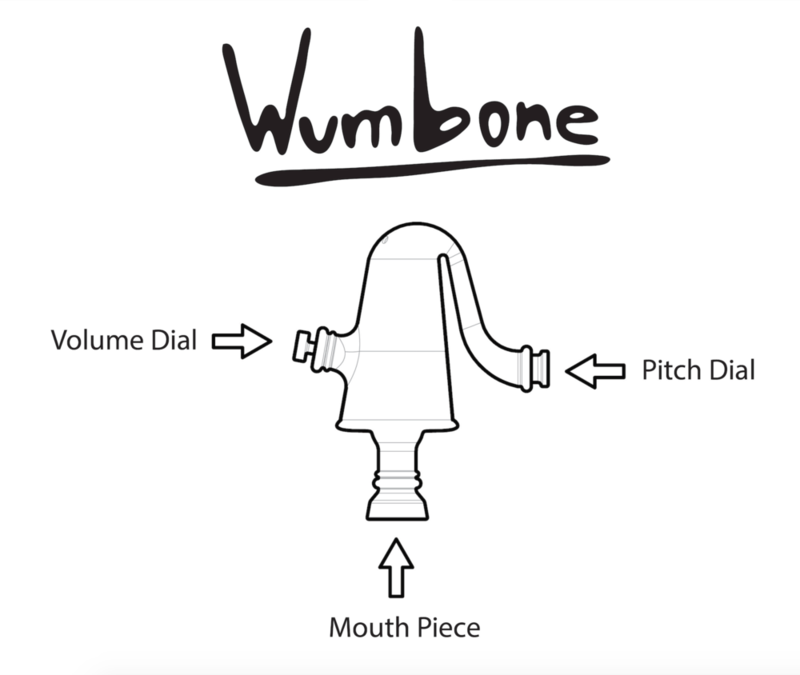 The Wumbone al- lows children to explore sound for its own sake while also learning important lessons about its nuances themselves.